Volunteers fanned out to a variety of agencies, including infant, youth, family, and homeless support institutions, public schools, and agencies that protect animals and wildlife. Working with limited budgets and few full-time staff, these organizations eagerly accepted—and greatly appreciated—Principians’ assistance. 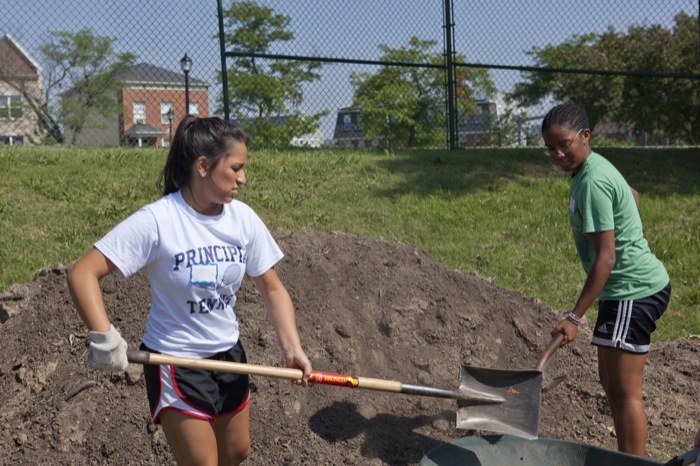 Students enthusiastically weeded food garden beds; cooked a delicious meal for dozens of residents of a homeless shelter; sorted, organized, and shelved scores of donated goods; participated in telethons; and scraped, painted, and cleaned with great vigor.